Family-friendly Freestyle Community Dance. 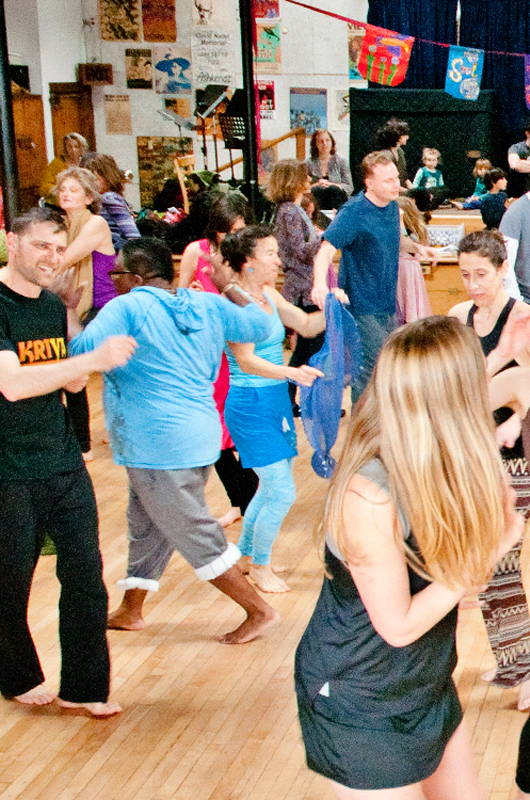 Come dance freely every Sunday morning at Soul Sanctuary Dance. No admission fee / 100% volunteer produced. Soul Sanctuary Dance is a welcoming and inclusive all-ages community freestyle/ecstatic/shoes optional dance that supports free expression, community, physical and emotional health, and a spirit of generosity. We dance to an irresistible eclectic blend of world music, funk, house, soul, electro swing, positive hip hop, reggae, dance classics, jazz, blues, electronica, and other music to free mind, body and soul. Organic fruit for all after the dance. The dance is completely organized and run by volunteers. Wheelchair accessible. No scented products please. Shoes optional. The dance is a generosity and donation-based event. We don't charge a fee for admission. Instead, we post this message at the welcome table: "Your dance today at Soul Sanctuary Dance is a gift from those who have made donations to the dance, and from the volunteers who organize and produce the dance. We invite you to pay this generosity forward for future dancers, in whatever amount or manner you choose, so that we can continue to keep this chain of gifts alive." Arenas Cuban Spring Gala with Susana Arenas and the Arenas Dance Company with DJ Antonio Chávez and Cuban Vegan Dishes catered by Prima's Corner!